I am super excited to have the lovely Caighlan Smith author of the wonderful Children Of Icarus on Tales today . 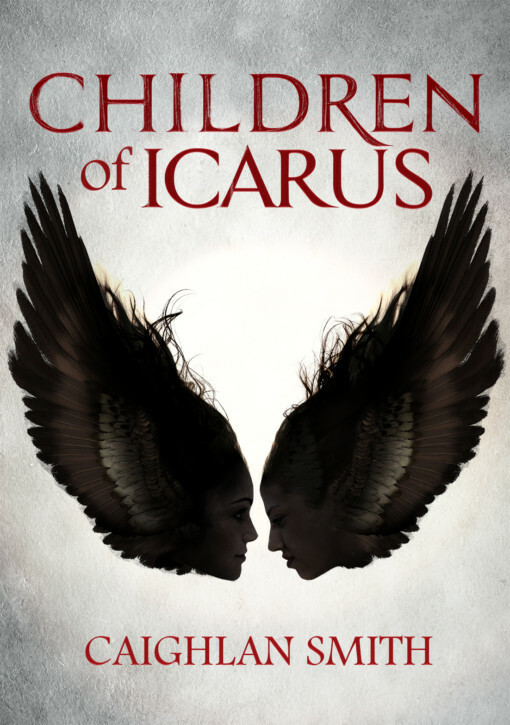 Children Of Icarus was released on the 14th July published by Curious Fox and I have heard the most amazing things about this book already! 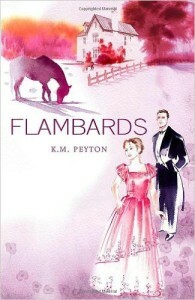 A super powerful YA novel, in the theme of Hunger Games. It’s utterly captivating with a dark atmosphere. A huge thank you to Georgia for having me on this wonderful blog tour and for sending me a copy of the book! 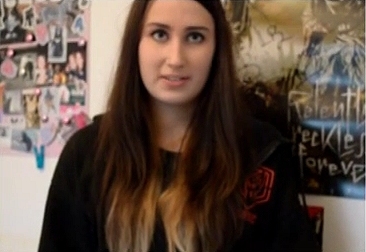 So today Caighlan Smith tells us what Greek God she would like as her patron….. 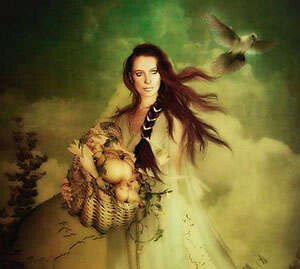 If I could have a Greek god watching my back, I’d have to pick Demeter. I’ve always loved Athena—the least reason for which being I adore owls—and I guess Apollo would be a fitting patron for a writer, given he’s the father of the Muses, but in my study of Ancient Greek mythology I’ve figured out that if you can have a god in your corner, it should be Demeter. “Goddess of the Harvest” may not sound immediately impressive, but Demeter basically has control of everything on earth that grows. When her daughter was kidnapped, she made everything die until she got her kid back. When she’s a babysitter, she tries to make her wards immortal. Who wouldn’t want this benevolent powerhouse backing them up? Besides, she’s pretty much the goddess poster-mother for mothers, and my mom’s both my biggest inspiration and the reason I’ve made it this far in my career. Can’t go wrong putting my faith in an immortal mom. Unfortunately, the protagonist of my new novel Children of Icarus doesn’t have a god to help her. She’s grown up believing the gods are villains, who captured the glorious and kind angels. Her beliefs are shattered when she’s forced to enter a labyrinth, which should have led to paradise yet delivers the exact opposite. She has to figure out how to survive on her own and—as she didn’t have Demeter as a babysitter growing up—that’s going to prove nearly impossible. 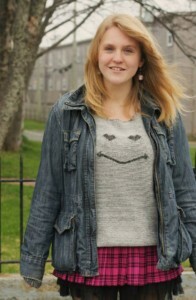 Caighlan Smith wrote her first novel when she was fourteen and has been writing ever since. A lover of mythology and gaming, Smith studied English Literature, Classics, and Creative Writing at Memorial University of Newfoundland. The “gh” in her name is silent. 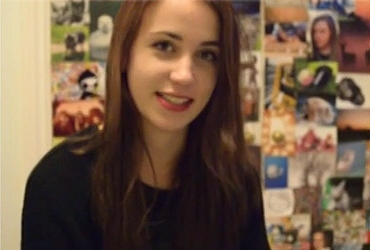 Smith wrote Hallow Hour, Book One in the Surreality series, in her final year of high school. Smith is currently working on the sequel to her newest YA Fantasy novel, Children of Icarus. A huge huge thank you to Caighlan for for such a brilliant post and to Georgia at Curious Fox for organising! Have you read Children Of Icarus? What did you think? Are you intrigued? Who would your Greek God be? I would love to hear from you! Why not leave a comment using the reply button at the top of this review or tweet me on twitter using @chelleytoy! This entry was posted in Fantasy / Urban Fantasy, Guest Post, UKYA, YA and tagged Caighlan Smith, Children Of Icarus, Curious Fox, Fantasy, Guest Post, UKYA, YA on August 5, 2016 by Chelley Toy. 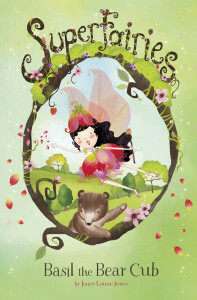 I have recently received copies of these fab books in the Superfairies series! 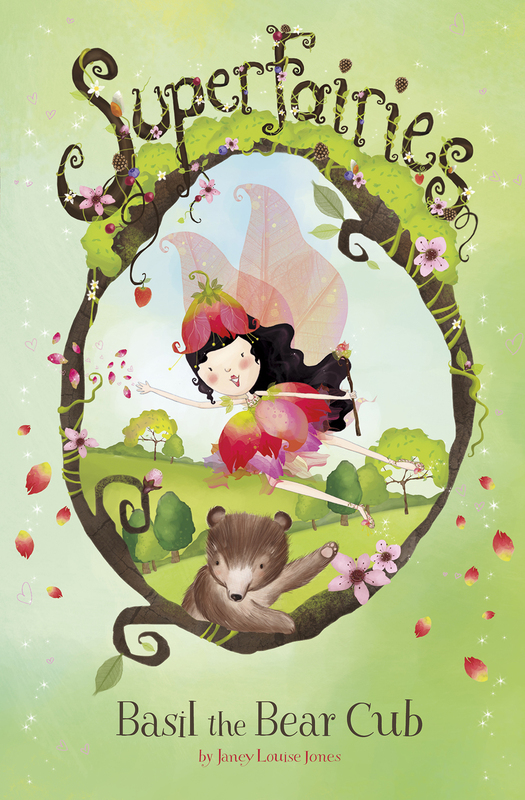 Written by Janey Louise Jones, released on the 28th January 2016 and published by Curious Fox they look super fun and with gorgeous illustrations by illustrator Jennie Poh I simply cannot wait to be transported into this super fairy world! No, Basil, don’t play near the river on your own! Superfairies Rose, Silk, Berry and Star rush to help a bear cub in danger. The Superfairies of Peaseblossom Woods use their teamwork to rescue animals in distress, bringing together their unique superskills, petal power and lots of love. Dancer, don’t run away! The Superfairies want to stop a wild pony being nervous for the Summer Fair dance contest, but first they need to catch up with her! The Superfairies of Peaseblossom Woods use their teamwork to rescue animals in distress, bringing together their unique superskills, petal power and lots of love. When I was working on my new series, Superfairies, aimed at readers 6-8 years old, I got thinking about what books I liked as a child, and which books have stood the test of time. 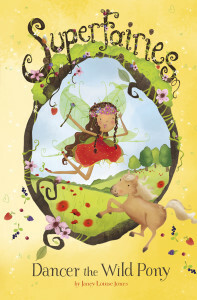 When I list out my favourite children’s books today for Tales of Yesterday I realise that a lot of them have themes which I’ve, almost subconsciously, worked in to Superfairies – animals, nature, strong girl characters – so really, in Superfairies, I’m writing for myself as an 8 year old. 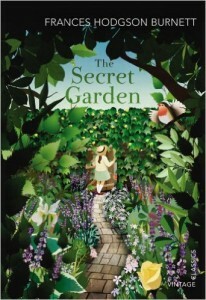 The transformation of both the garden and Mary’s personality touched me and appealed to my sense of optimism. I like to resolve things in life and think that everyone has a redeeming feature if care is taken to find it. 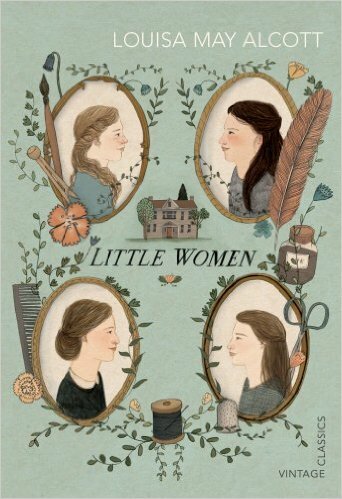 The journey from girlhood to womanhood definitely intrigues me and this story triumphs in the way it details a clutch of characters so deftly. The fact that most readers can identify with one of the March sisters, Meg, Jo, Beth and Amy, is a stroke of genius. 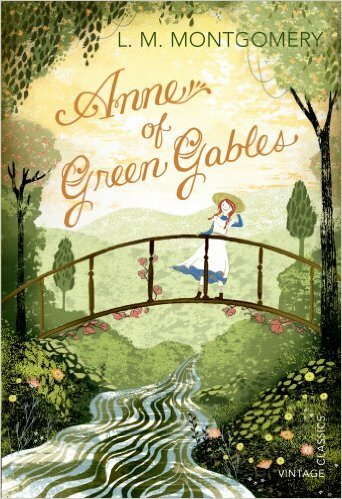 Anne Shirley is a plucky heroine (an orphan as heroes and heroine so often are) and I love her spirit. This was a favourite at the time when I also adored the Little House on the Prairies series by Laura Ingalls Wilder. 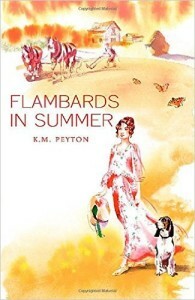 American and Canadian authors write about childhood and adolescence especially well. I was intrigued and scared by this story in equal measure. 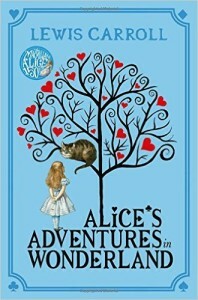 I liked that Alice had an adventurous spirit. 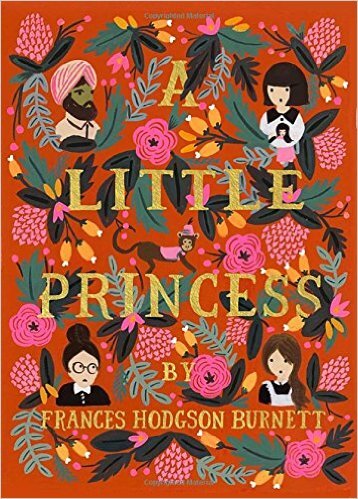 As I thought about the book in later life, I think the fact that she feels various too large and too small sums up the dilemmas of later childhood perfectly. The random cast of characters from the Queen of Hearts to White Rabbit and the Mad hatter never cease to fire the imagination. 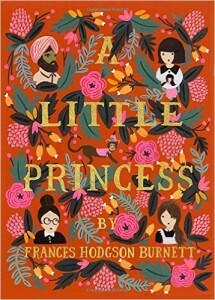 There are hints of Cinderella and Jane Eyre in this story of humility, and I do strongly believe that we don’t know what reserves we have within us until they are tested. Sara has to endure poverty after wealth – a recurring theme in children’s fiction. Thought to be inspired by an unfinished Charlotte Bronte novel, Emma, I think my love of this is fuelled by my love of the Bronte’s. As a young teenager I loved the mix of country estate, horses and romance in these three novels set before during and after the first world war. The classic elements of being orphaned, financial complexities and brutish guardians seem to create the right amount of tension and empathy. 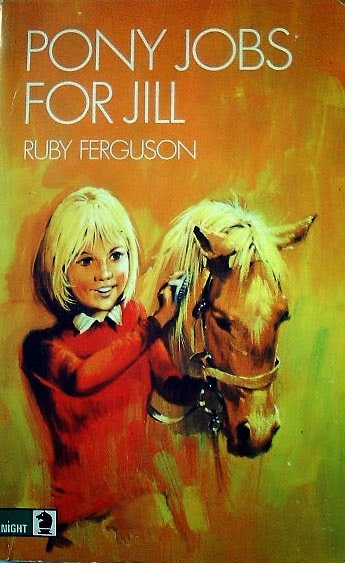 One of nine books in the ‘Jill’ series, I enjoyed these stories at the age of nine or so, when I was pony obsessed myself. The original versions have been updated and I like that stories considered a bit old-fashioned now can be enjoyed by a new generation after a few tweaks. 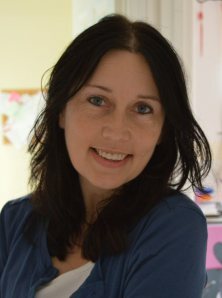 Janey Louise Jones has been a published author for ten years. Her Princess Poppy series is an international bestselling brand, with books translated into ten languages including Hebrew and Mandarin. Janey is a graduate of Edinburgh University and lives in Edinburgh with her three sons. Jennie was born in England and grew up in Malaysia, in the jungle. At the age of ten, she moved back to England and went on to study Fine Art at the Surrey Institute of Art & Design, as well as Fashion Illustration at Central St Martins. 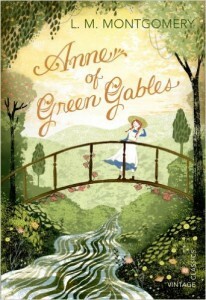 Jennie loves the countryside, animals, tea and reading. She lives in Woking, England with her husband and two wonderful daughters. A huge thank you to Janey for a brilliant guest post and for Georgia at Curious Fox for asking me to host and for sending me copies of the books for review. 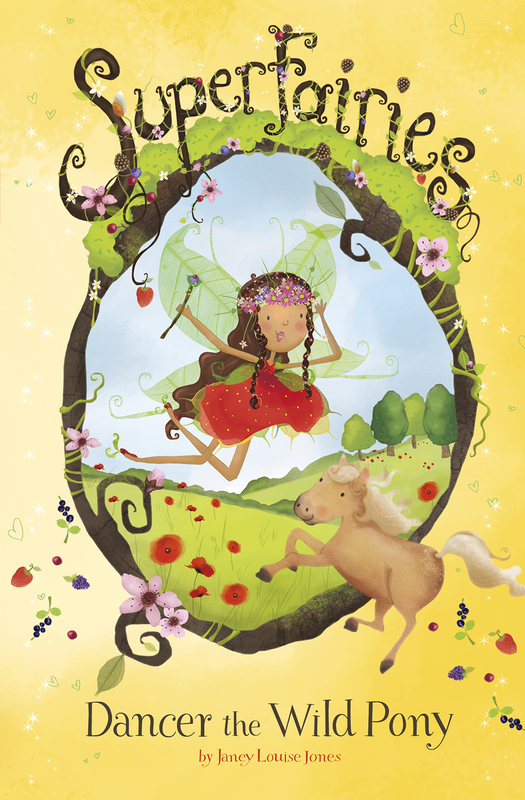 This entry was posted in Fantasy / Urban Fantasy, Guest Post, MG, UKMG and tagged Basil The Bear Cub, Curious Fox, Dancer The Wild Pony, Fantasy, Guest Post, Janey Louise Jones, MG, Superfairies, UKMG on January 26, 2016 by Chelley Toy. 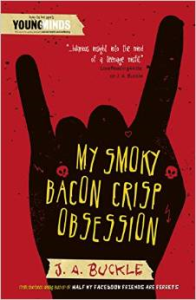 My Smoky Bacon Crisp Obsession by Jackie Buckle is the sequel to the successful first instalment of metal-head Josh Walker’s diary, Half My Facebook Friends Are Ferrets. In this novel, Buckle takes Josh and his crowd of bloke mates to the next level, exploring the dynamics of a male peer group and the intensity of their formulative years. The group battle and deal with mental health issues like anxiety, panic attacks and body image issues, but Buckle’s light touch ensures the book retains its characteristic wit and charm. Jackie Buckle has teamed up with Young Minds, the charity for young people’s mental health, to donate a percentage of her royalties to the charity. 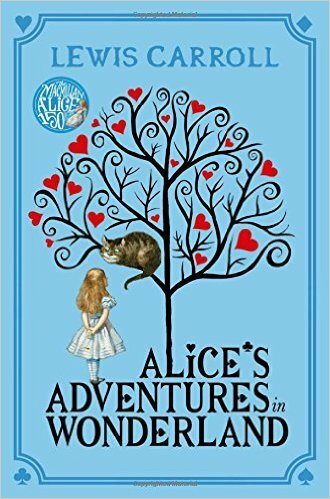 Today, 9th April 2015, marks the release day of My Smoky Bacon Crisp Obsession by J A Buckle and I am honoured to feature a fantastic guest post from Jackie to celebrate the release of this book published by Curious Fox Books. I have recently read My Smoky Bacon Crisp Obsession (fab title!) 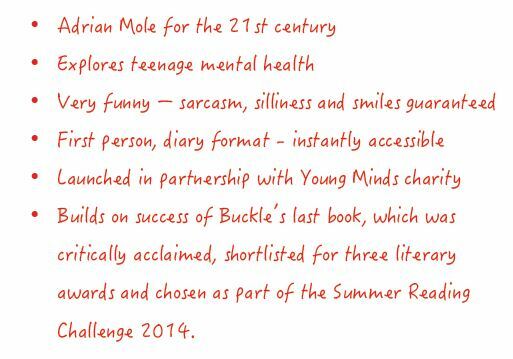 and found it had many laugh out loud moments with the book dealing with mental health issues to name just one. 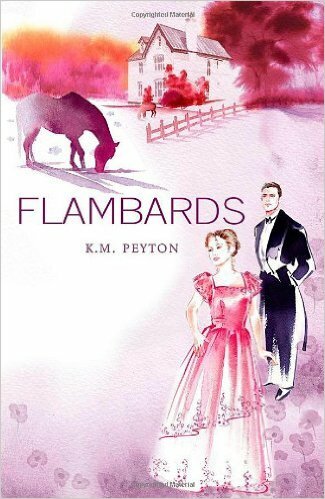 Whilst penned as a sequel I found, having not read the first book, that this stood well as a stand alone as well. 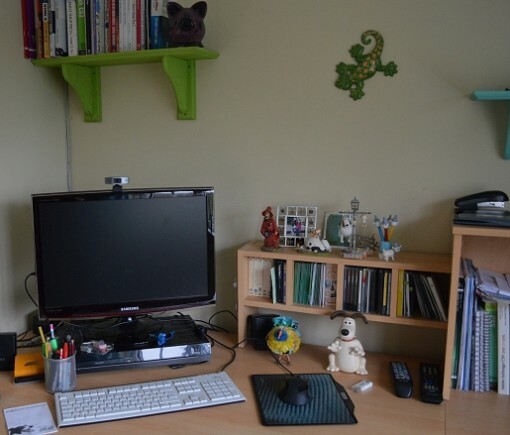 I am so excited to share this guest post of Jackie’s writing life in pictures….enjoy! Jackie Buckle has been writing for years, since reading The Accidental Tourist by Anne Tyler, the book she says, that made her want to write. 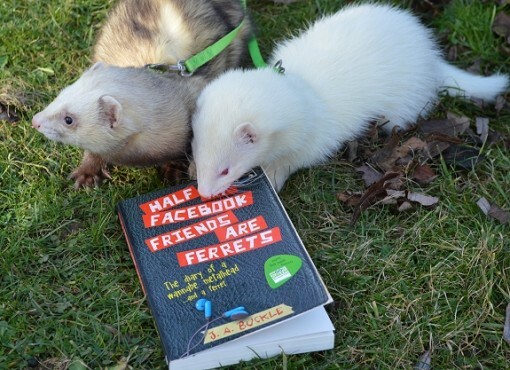 Half my Facebook Friends are Ferrets was discovered in the slush pile by a Curious Fox editor who immediately recognised its irresistible mix of humour, music and the digital world, and the rest, as they say, is history. Jackie writes around her day job, as the website manager for a leading drug charity, and her voluntary work as a befriender for an eating disorders charity. She is passionate about animals, playing the acoustic guitar and walking her Finnish lapphund. She has two teenage daughters and lives in Reigate, Surrey. Sophie is a bit like Josh in that she’s a metalhead. She is nowhere near as tactless however, which is good! They are my main inspiration. More inspiration comes in the shape of these lovely books from my favourite authors. 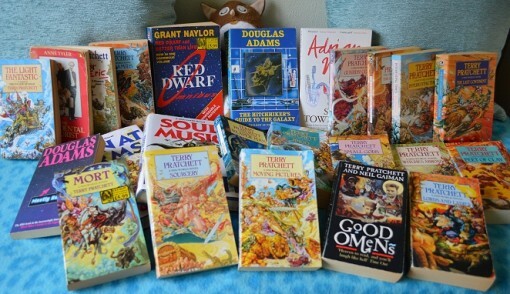 As you can see there are a lot by the wonderful Terry Pratchett (RIP). I have always loved reading comedy. 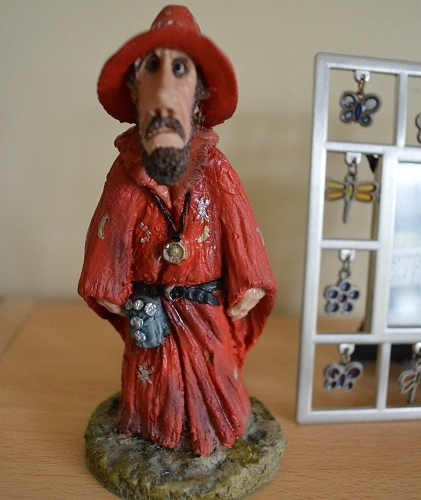 Rincewind is one of the wizards in Terry Pratchett’s Discworld series. He’s a loveable loser – a bit like Josh. Most of my writing happens here. The monitor doubles up as a TV so if I get stuck I can always watch some daytime telly! 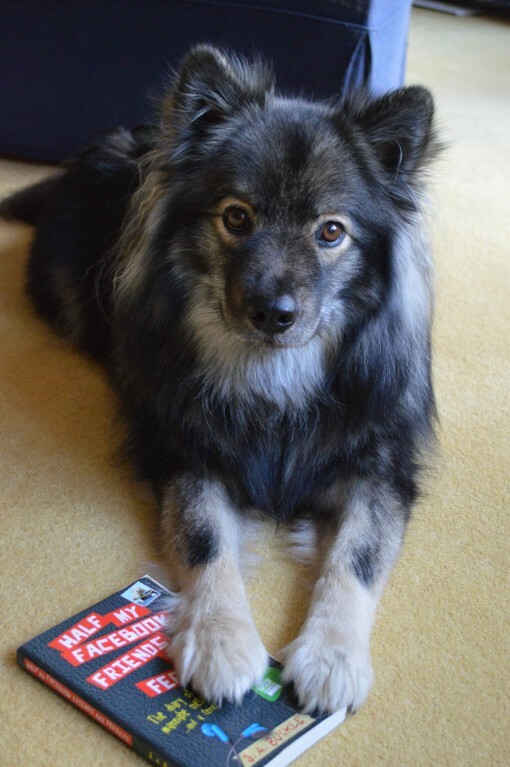 Lexi is our Finnish Lapphund. She is not a great help with my writing as she doesn’t say much but she is super-cuddly! Here are the rescue ferrets from Wood Green Animal Shelter. They really liked the first book, so much so that the white one (Albert) bit a chunk out of it. Finally, I couldn’t write without lots of snacks and tea. 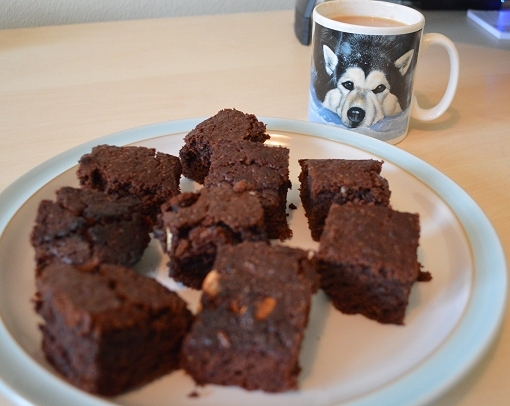 These are yummy vegan brownies (let me know if you want the recipe!). This little lot should last me at least half an hour! Mmmmmmm those brownies look yummy! I would like to say a huge thank you to Jackie for a fab guest post and Curious Fox Books for sending me the book and letting me feature this fab guest post! It’s been great seeing an insight into Jackie’s writing life! Don’t forget to check out my review of My Smoky Bacon Crisp Obsession which will be posted soon. Happy reading and eating smoky bacon crisps! 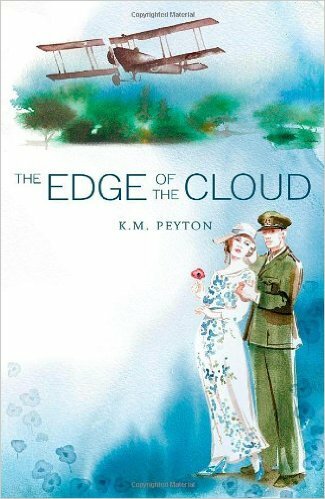 This entry was posted in Contemporary, Guest Post, Humour, UKYA, YA and tagged Contemporary, Curious Fox, Guest Post, Humour, J A Buckle, My Smokey Bacon Crisp Obsession, UKYA, YA on April 9, 2015 by Chelley Toy.